Don’t Go Broke From Nursing Home Costs! Going broke from nursing homes is one of our clients’ biggest concerns, and since you’re reading this page, it is probably one of yours too. We understand. No one wants to lose their life savings to nursing home costs. Read to learn how we help you protect your assets from this crushing expense. How Much Does Nursing Home Really Cost In Orange County? According to Genworth, the leading long term care insurance provider, the average cost for a nursing home in Orange County in 2018 was $7,984/month. And this is for a shared room! If you want a private room, the average cost goes up to $10,798/month. This comes to around $96K per year, and that’s just for the basic services, not the additional services many patients require. How Do People Pay For Nursing Home Care? Long-Term Care Insurance – Many people mistakenly believe their long-term care insurance (LTC) will cover their nursing home care costs. However, LTC is not designed for long stays in a nursing home. With the average annual cost of nursing home care in Orange County close to $100k/year, most LTC policies get wiped out pretty quick. Medi-Care – People believe that Medi-Care will pay for their nursing home stay, but it is only partially true. Medi-Care pays 100% of the costs of the first 21 days in a nursing home. After that, Medi-Care pays only a portion of the costs for up to 100 days. At the end of the 100 day period, Medi-Care will pay no more. Plus the family will owe the nursing home a significant debt for the 79 days that Medi-Care only paid a portion of the costs. Out of Pocket from Savings – This is the initial method people use to until either other benefits take effect, or until they run out of savings. Usually, only those with significant savings are able to carry this expense for long. Frequently, once the savings are gone, people are broke enough to qualify for Medi-Cal. This leaves people with very little savings and they frequently either wind up selling the family home or filing bankruptcy because on an emergency expense. Medi-Cal – This is a needs-based State and Federal government program created to pay nursing home costs for those who cannot afford to pay. Qualifying for benefits is tough. Most people do not qualify initially for Medi-Cal benefits because they have too many assets. It’s only after they go broke by spending their savings will Medi-Cal step in. This is generally referred to as the “spend-down” requirement of Medi-Cal. Reverse Mortgage – Many people resort to this to pay for the nursing home. These are becoming an increasingly popular option for people that don’t know there are other options. We don’t believe that this is a good choice for most people because there are other, less drastic options. Why spend all of the equity in the home and have nothing to pass on to children after a life of scrimping and saving when there are better strategies available? This is the process of getting someone qualified for Medi-Cal benefits without having them spend all of their savings in order to qualify. Medi-Cal planning can be done before the person goes into a nursing facility, or on an emergency basis if someone needs to enter the facility immediately. The process takes around 3-4 months depending on the financial structure of the client. How Can I Get Medi-Cal Benefits if I Don’t Qualify? This is too big a question for a website. The short answer is that it requires the assistance of a very knowledgeable attorney experienced in Medi-Cal practice. The attorney must restructure your assets in such a way that they no longer count as assets by Medi-Cal and don’t trigger an ineligibility period. This is possible through various legal and financial strategies that are very dependent on each individual, as not all strategies work for everyone. There are no shortcuts! Over a 2-3 month period, our legal team creates a special, air-tight, and Medi-Cal approved, Family Wealth Preservation Plan to replace the client’s regular estate plan. During this process, our team transfers the client’s assets to the Family Wealth Preservation Plan properly to avoid the Medi-Cal ineligibility period. When the incapacitated spouse is ready to go into the nursing home, the family applies for and receives the Medi-Cal benefits. Sometimes, a spouse needs to go into a nursing home immediately and there isn’t time to do the Medi-Cal Planning before they go into the nursing home. We do what we call “Emergency Medi-Cal Planning” and get the spouse qualified for benefits in a few short months. During this short period, the family pays the nursing home until the Medi-Cal benefits take over. Even with this short period, the savings to the family are really substantial. Typically, the family saves over $70k the first year alone. What Is the Biggest Mistake People Make? The biggest mistake people make by far is relying on poorly crafted estate plans that don’t provide the requisite legal and financial authorities to conduct Medi-Cal planning when it is needed. Most people find out that their estate plan documents don’t provide these authorities until it’s too late to fix them. What frequently happens is one of the spouses becomes incapacitated and must enter a nursing home. The incapacitated spouse can no longer give consent to the other spouse to take the actions necessary to obtain Medi-Cal benefits because assets need to be transferred away from the ownership of the incapacitated spouse. In order to legally transfer the assets, and to get third parties (banks, brokerages, administrators) to take the actions requested, the non-incapacitated spouse must prove to these third parties that the spouse has the legal and financial authority to do so. If the non-incapacitated spouse transfers family assets, or other such actions, without the legal and financial authorization, the non-incapacitated spouse is committing larceny and can be subject to civil suit and potential criminal prosecution. The way to avoid this problem is to have these legal and financial authorities BEFORE they are needed. The problem is that many existing estate plans do not have the requisite language granting these authorities, but people won’t learn this until it’s too late. I Don’t Know if a Nursing Home is In My Future. What do I do Now? Unlike other attorneys, we don’t recommend our clients spend money now for Medi-Cal planning unless a loved one is going into a nursing home soon. It’s not that we don’t want your money, but we prefer that you spend the money only when you are sure it’s needed. Instead of doing the Medi-Cal planning now, we recommend that you make sure you have in place an estate plan that provides all of the legal and financial authorities necessary in order to do Medi-Cal Planning when it is needed. This way you only spend money on Medi-Cal planning when it makes sense! Why are we saying this? 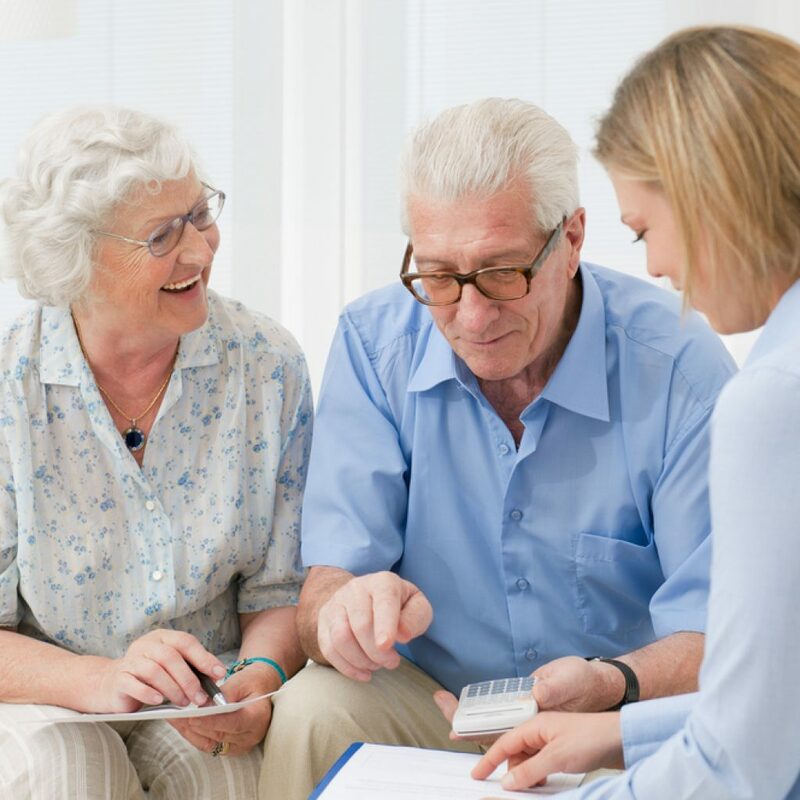 It’s because, in our experience and after looking at scores of estate plans, we know that most estate plans don’t provide the legal and financial authorities necessary for a non-incapacitated spouse to do Medi-Cal planning if one spouse becomes incapacitated. Proper estate planning is one of those things in life that are too critical to take a chance on. You want to do this right so you or your family doesn’t find out after it’s too late that the estate plan that the family relied upon is defective. We are members of the American Academy of Estate Planning Attorneys, an exclusive national member organization of Estate Planning and Elder Law professionals. It is our job to make sure that there are no surprises in store when you need your estate plan to work.